← Victorian Wraparound Porch Parts Reproduction. 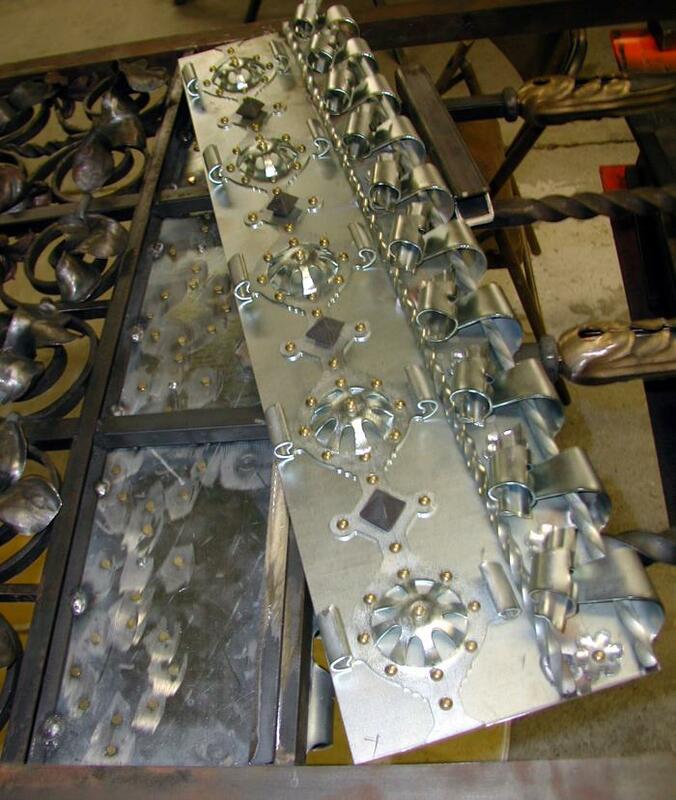 Reconstruction of Iconic Wrought Iron Gates in Multiple Metals. The south entrance of the Dakota Building, from 72nd Street. 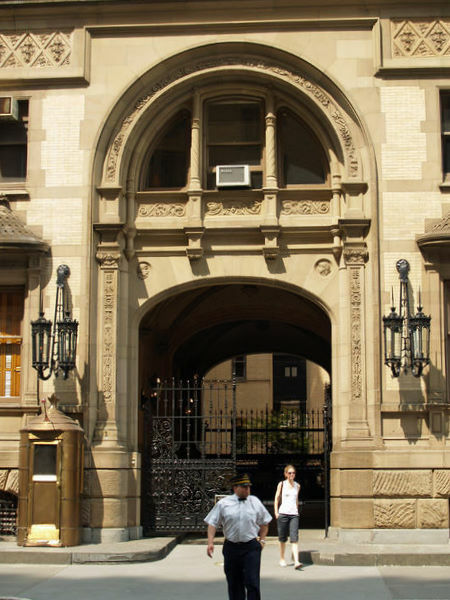 The historic and iconic 1886 Dakota building in New York City has been home to many celebrities over the years, most famously John Lennon, who was gunned down on the sidewalk at its south entrance. This entrance is a long porte cochere leading to a large interior courtyard, with massive, elaborate wrought iron gates at either end. The inner courtyard gate was meticulously reconstructed as part of a larger exterior restoration. 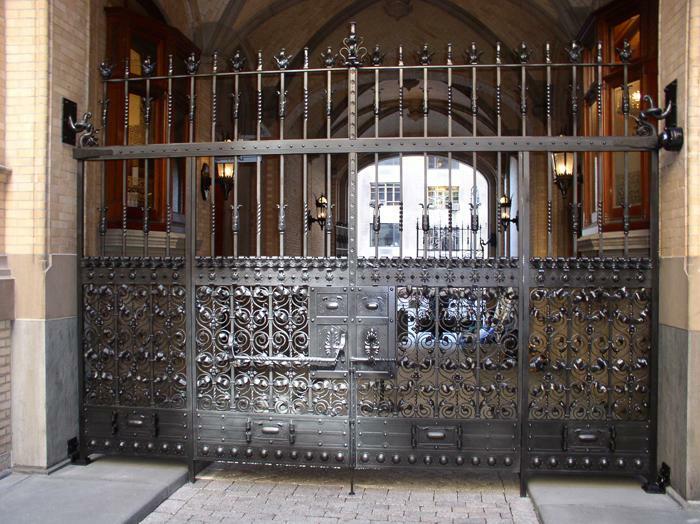 This five part pedestrian gate is an elaborate example of the metalworkers art, in the Renaissance style and in multiple metals. Reproduction castings and forgings were fabricated as necessary for restoration. This is a secure installation, as originally built, but it has been updated with concealed electronic operators to accommodate contemporary expectations for convenience and security. Fine Architectural Metalsmiths, Chester, NY did the design, reconstruction and installation. Detail of the interior gate, before full assembly, showing the richness of this Renaissance style installation, in multiple metals. The gate installed, looking into the porch cochere from the courtyard. A hand forged detail, showing the gate hanger and attachment to the masonry. 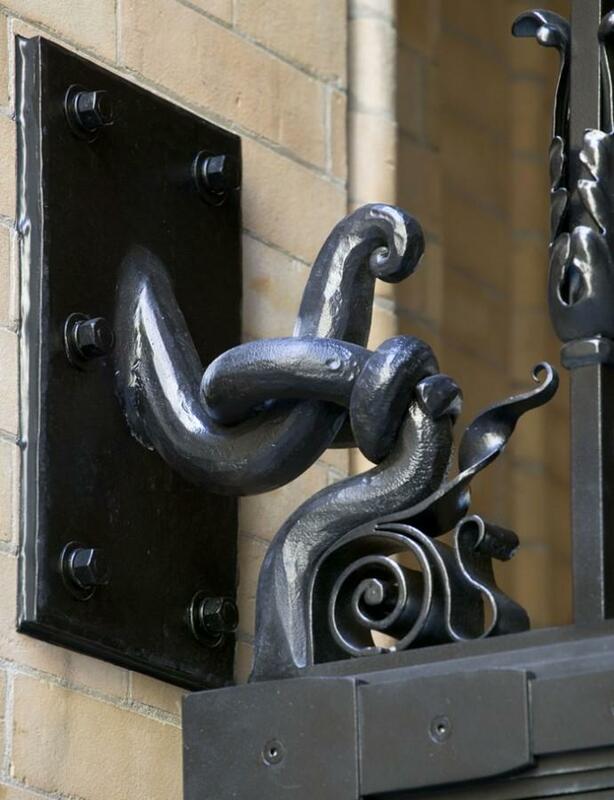 This entry was posted in Architectural Conservation, Commercial Entrances and tagged Metal Fabrication, New York, Wrought Iron. Bookmark the permalink.